This guide is for those who doesn't like their new laptop with Windows 10 shipped and would rather use the good old Windows 7. There are many reasons to not like Windows 10, for me mostly the ugly appearance! In my opinion the 24 years old Windows 95 has better look, while Windows 7 shines 100 times more, giving more premium feeling for the laptop. 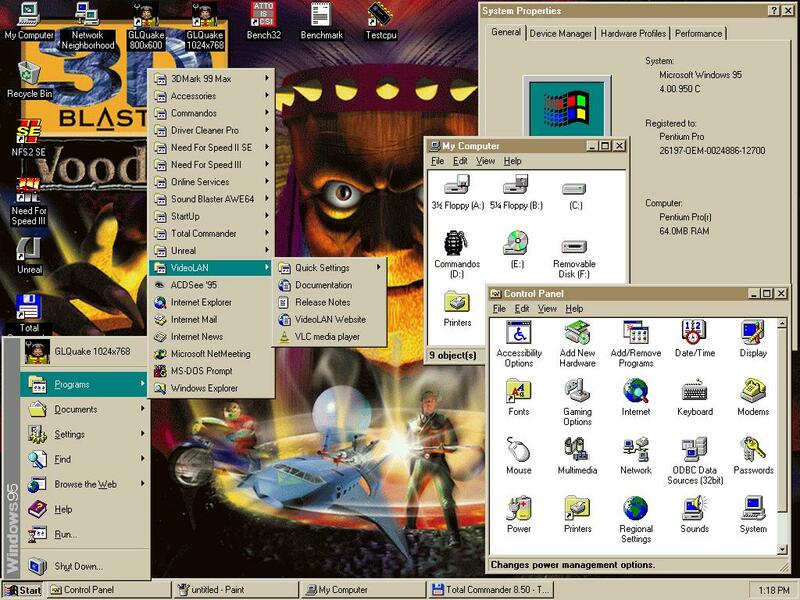 In 1995 as a little kid for Windows 2020 I imagined a visually very fancy, shiny, moving, interactive interface. Instead we've got this garbage. Damn… shocking, or? The old-world Windows looks so much better than the new candy crush operating system! Windows 10 basically already ruins our laptops by it's appearance. So, do you get the difference? Furthermore, others are concerned about privacy, telemetry, adware, forced updates, windows store, the must use of apps, lack of usable start menu and more. Unfortunately, these are quite real problems, which makes many of us frustrated! So either you tweak your 10 to make it more like 7 or install Windows 7. I say doesn't matter how many tweaks you do for 10, it won't be like Windows 7. Not mention when you do all those tweaks carefully for your Windows 10, the major half year updates will nullify your work! 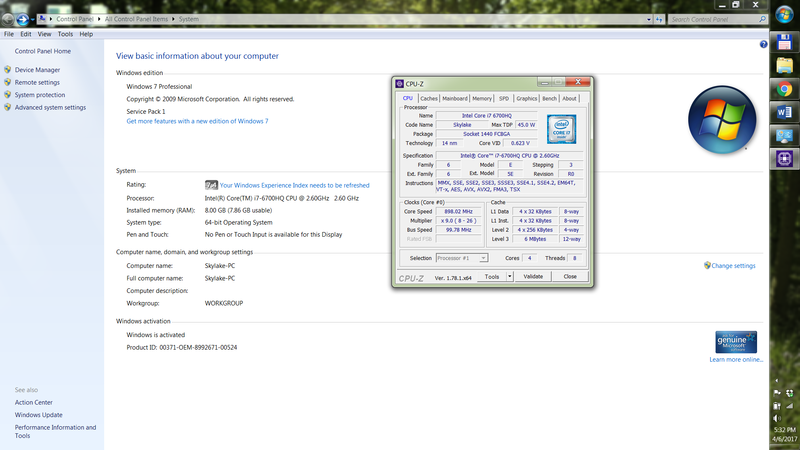 So I simply not mess with 10, instead I take SSD out, another SSD in and I start installing Windows 7. -Intel 6th Generation (Sky Lake) processors are compatible. -Intel 7th Generation (Kaby Lake) processors are working with modded IGP driver, but Asus and some special brands might have missing touchpad driver. -Intel 8th Generation (Kaby Lake Refresh) processors tends to be compatible with modded IGP driver, but some model can have touchpad driver issue. -Intel 8th Generation (Coffe Lake) processors, currently uncompatible because lack of IGP and motherboard drivers. Once someone mods the needed drivers, Windows 7 will work! -Many similar laptops by other users. Before we start fixing that error, i would recommend to search and find Windows 7 drivers for your hardware. Most importantly the WIFI driver will be needed, because without you will not be able to connect to the internet in your freshly installed Windows 7. Additionally i used to pre-download also the Chipset, the IGP, GPU drivers. For example at Intel.com, AMD.com, Nvidia.com or at your laptop’s manufacturer website. - Intel® Wireless Bluetooth® for Windows 7 from Intel’s website. 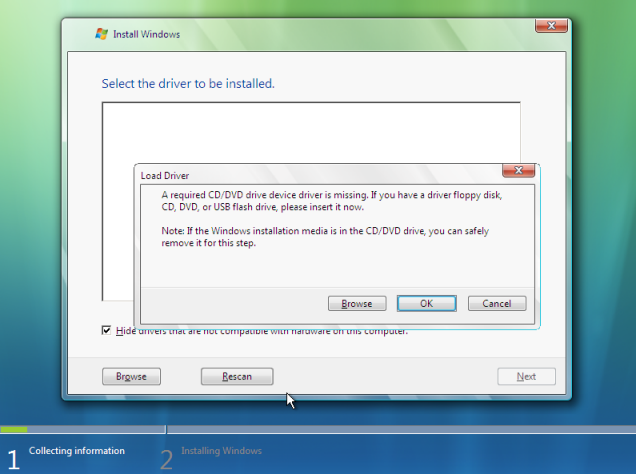 - Create your Windows 7 installation media with Windows 7 USB DVD Download Tool. 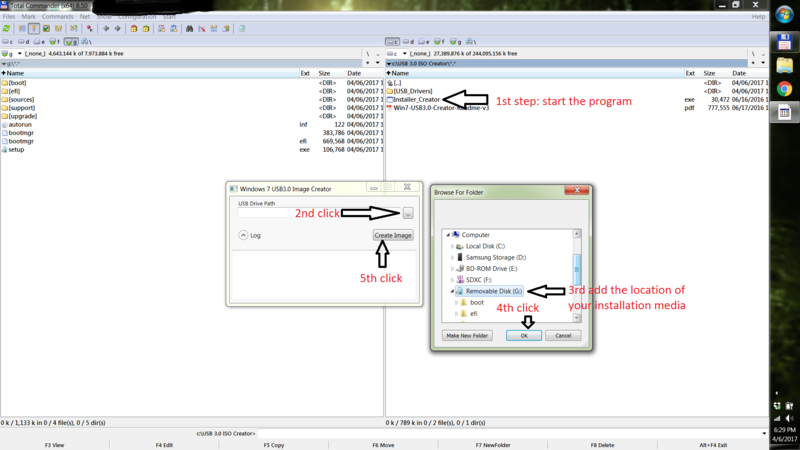 Follow this little program it will manage your Windows 7 disc or .iso file onto a Pendrive. 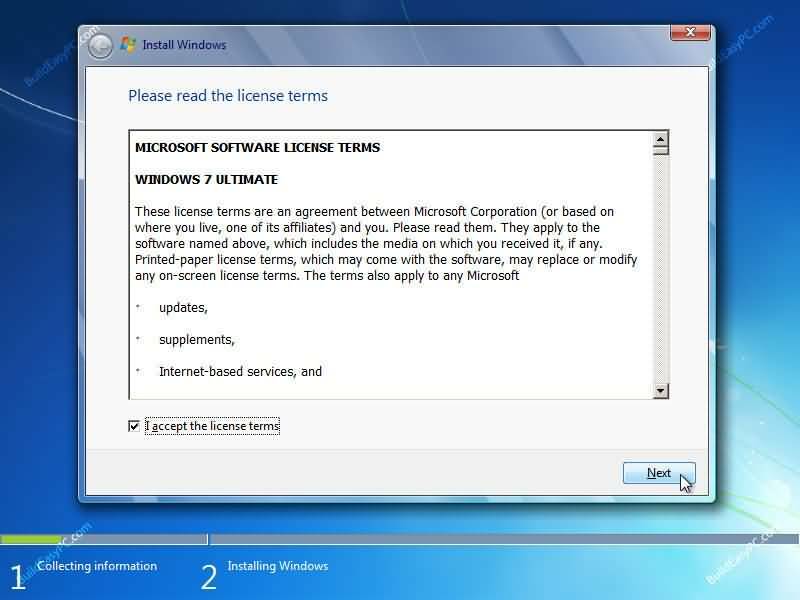 Spoiler: Make a fully updated Windows 7 installation media -Only for advanced users! This way you will not need to install any Windows updates! Like if you have a Samsung 960 Evo PCIe/NVMe SSD, you will also need to integrate NVMe drivers into your installation media..
2. Integrate with Embedded Utility Windows Image Tool or if that cannot complete the job use NTLite. (Note with these tools you can also integrate the necessary USB 3.0 drivers and skip the next step). - Than download Windows 7* USB 3.0 Creator Utility. Unzip all to a location, then run “Installer_Creator.exe”and give the location of your Windows 7 pendrive. After more minutes of work, it will say “update finished”! It means you done this simply process right and you are almost good to go to Install Windows 7! If for some reason you would fail above to integrate the necessary drivers or you just looking for an alternative way to do, you can also use the Windows 7 image updater or the Embedded Utility Windows Image Tool. Lastly disable Secure boot and enable Legacy instead of UEFI in your laptop's bios. If you are having trouble to enter the bios google how to do on your laptop. Like in my Dell i had to press F12 after power-up, on my Lenovo I had press a little button on the left side near the USB connector. After these two correct bios settings, boot from your Pendrive and you will be pleased to see you are able to install Windows 7! When you have the running Windows 7 on your laptop, I recommend install Simplix Pack so you will not need struggle with Windows updates. Than install drivers in the following order; Intel Chipset --> Intel IGP --> 2nd GPU if you have --> WIFI adapter -->Bluetooth --> Other drivers. Oh and youtube copy guys do not forget to reference for my guide and ask my permission! cincinnatus, KY_BULLET, franzerich and 9 others like this. 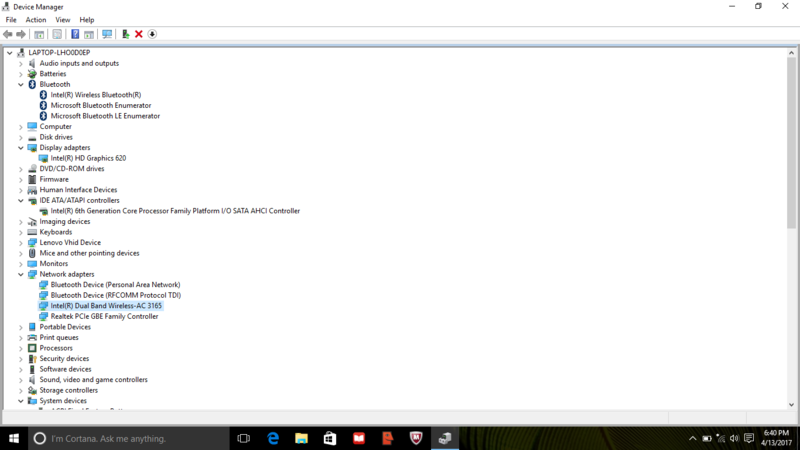 I have modded the latest Intel HD drivers (march 2017) for my HD630 Kaby Lake and it works great! hmscott and Atom Ant like this. hmscott, Atom Ant and JKnows like this. The much anticipated guide. Thanks you made it! I remember it was problem to me as well how to install 7. it is still the best Windows yet! hmscott, steberg and toughasnails like this. Damn… Embarrassing, or? 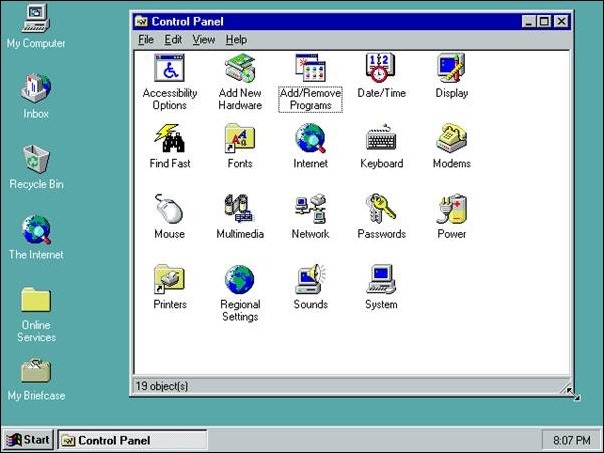 Not just looks better the ancient Windows 95, but also easier to get to the right place...! Furthermore, others are concerned about privacy, telemetry, adware, forced updates, windows store, the must use of apps, lack of usable start menu and more. Unfortunately, these are quite real problems, which makes many of us frustrated! So either you tweak your 10 to make it more like 7 or wipe your hdd and put 7. I say doesn't matter how many tweaks you do with 10, it won't be like 7. Perhaps it is also easier to do a clean Windows 7 installation than do carefully all those modifications. I’ll explain how easy is to overcome of this unwelcome problem. Tested with Dell Inspiron 7559 with 6th Gen. Intel Skylake I7-6700HQ CPU and with Lenovo Ideapad 310 with 7th Gen. Intel Kaby Lake I3-7100U processor. 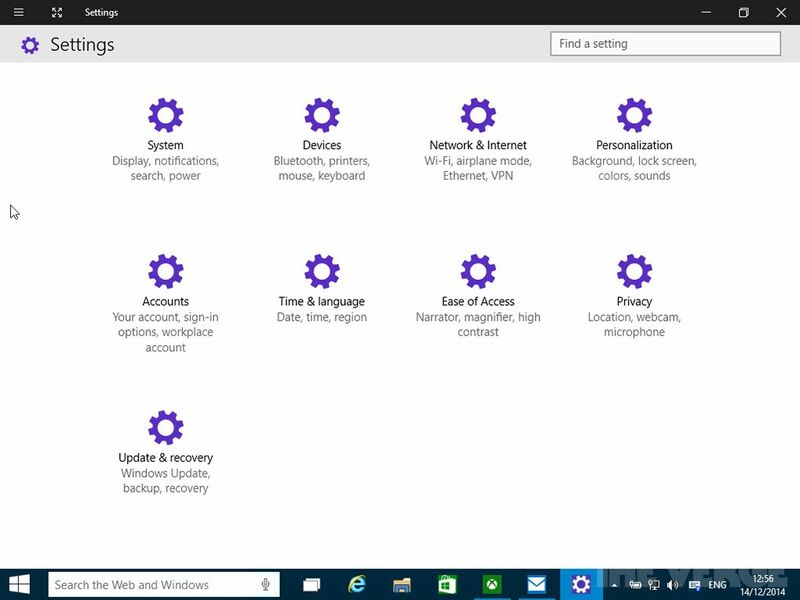 Before installation check your system components in Windows 10's device manager. Most importantly you will need the name of your wireless network adapter, then check your display adapter and chipset. - Intel HD Graphics 620 from Here! The driver from Intel's website will not install! Create your Windows 7 installation media with Windows 7 USB DVD Download Tool. You need to burn the media to a Pendrive. 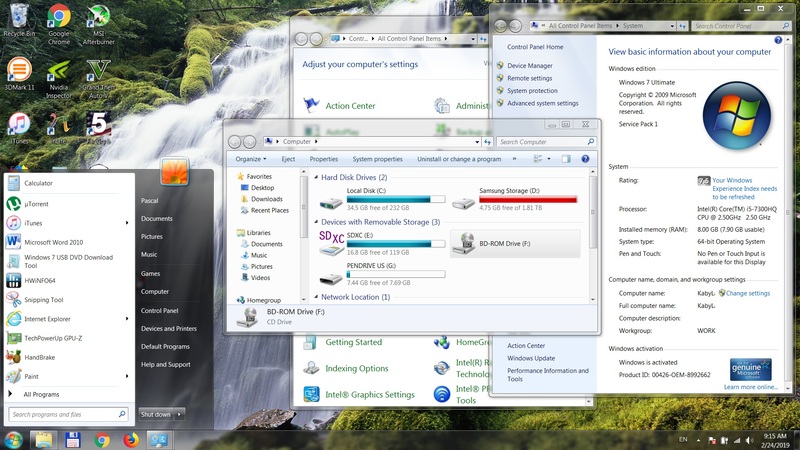 Download Windows 7* USB 3.0 Creator Utility. Unzip all to a location, then run “Installer_Creator.exe”and give the location of your Windows 7 pendrive. After more minutes of work, it will say “update finished”! It means you done this simply process right and you are almost good to go to Install Windows 7! Just disable Secure boot and enable Legacy instead of UEFI in your laptop's bios. If you are having trouble to enter the bios google how to do on your laptop. Like in my Dell i had to press F12 after power-up, on my Lenovo I had press a little button on the left side near the USB connector. After the correct settings, boot from your Pendrive and you will be pleased to see you are able to install Windows 7! Windows 7 installation is complete, now Install the earlier downloaded drivers in the following order; Intel Chipset --> Intel IGP --> 2nd GPU if you have --> WIFI adapter --> Other drivers. (Install windows updates) and your programs. I recommend to follow the guide here, otherwise you might install an unwanted update! Especially is true if you have Kaby Lake, so take extra attention what updates you install. I simply disabled auto-updates, than installed the Simplix Pack. After I install manually only Security and .Net updates. hmscott, Vasudev, Raiderman and 1 other person like this. 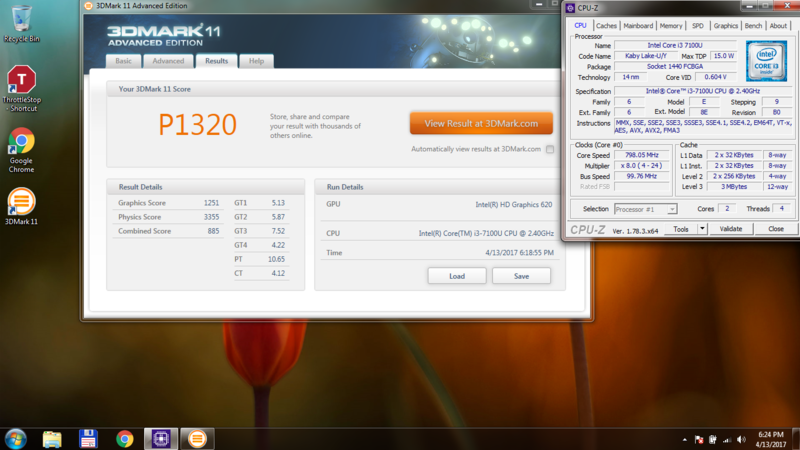 Just installed the latest simplix update pack 17.4.15 and it works fine, no nag about unsupported processor. I think it installed 7 security updates, so it seems we can still use windows 7 security updates on our Kaby Lake's even after micro$oft decision to end support for Kaby and Ryzen last month. hmscott and Raiderman like this. Unfortunate people believes they've to use their new hardware with that crapware virus. Fortunately Windows 7 still working, everything more pleasant immediately as installed. Papusan and steberg like this. Just ordered my new Dell Inspiron 15 5577 gaming laptop, so excited how Windows 7 will handle it .